Machete Desert Storm SPC for professional use. 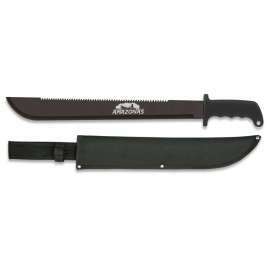 Black Stainless Steel Blade 41.5cm with serrated back Stainless Steel. Black Anatomic and anti-slip ABS handle color Kaki Camo. Kaki Cordura Nylon carrying Holster. 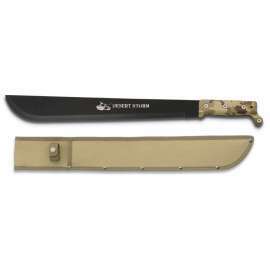 Machete Desert Storm SPC with a 41.5cm black stainless steel blade for professional use. 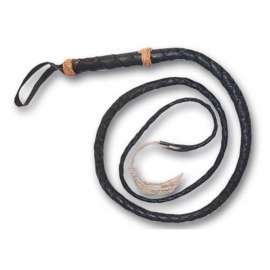 High quality tool that allows you to cut and carve efficiently. The machete has a serrated blade on the back for use as a saw. 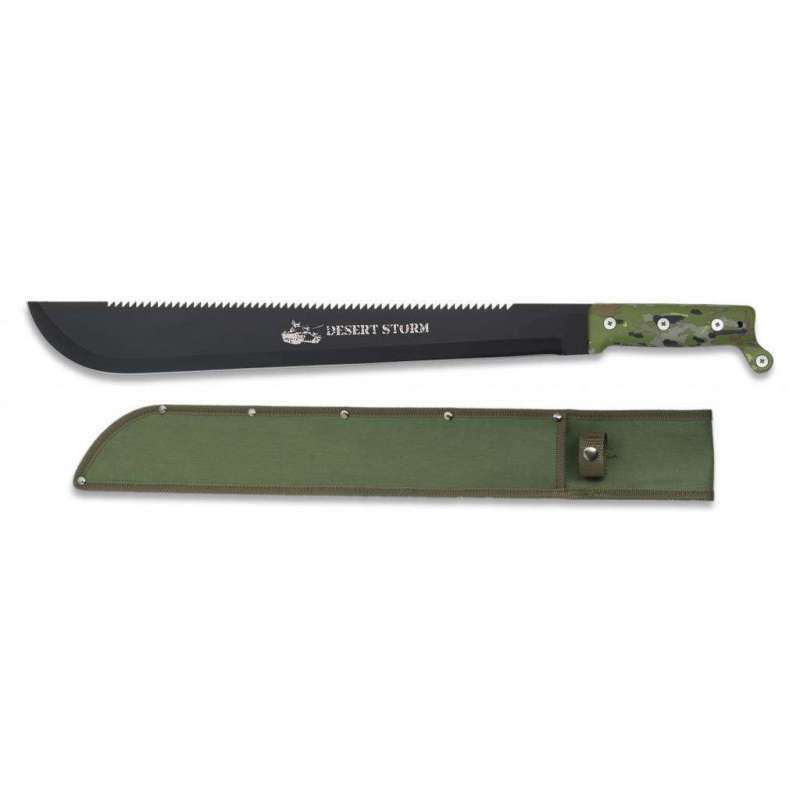 This Machete is equipped with a strong anatomical and anti-slip handle in highly resistant ABS, color Kaki/Camo, which allows a natural and effective handling. 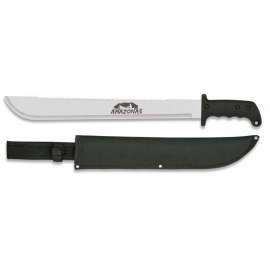 This Machete model comes with a high quality Cordura Nylon holster, Kaki color.